Susan Brubaker Knapp here. My piece Up and Away! 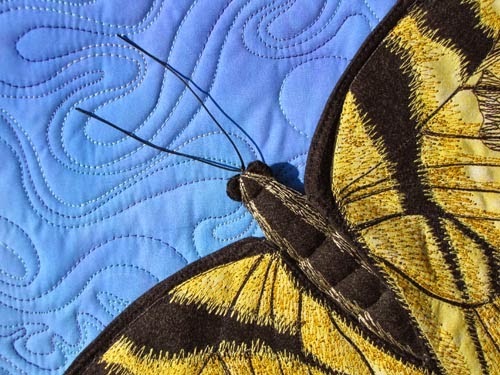 is part of a new exhibition – An Invitational Flutter of Butterfly Art Quilts – at the Texas Quilt Museum. It opens today, and runs through June 29. 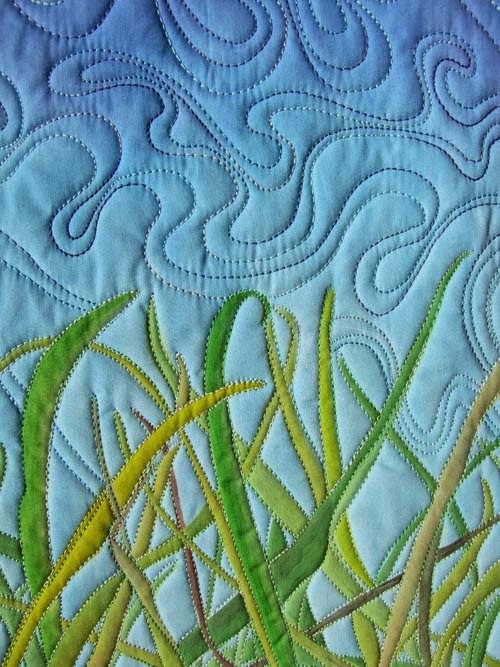 This exhibition features 17 quilts selected by the museum curator, Dr. Sandra Sider. FAO member Nancy G. Cook also has a piece in this exhibition. A juried exhibition – Butterflies and Their Beautiful Kin – which will show at the same time, contains 38 works. The Texas Quilt Museum, which opened in November 2011, is a little gem of a museum housed in two historic 1890s buildings in La Grange, in central Texas. Its goal is to “recognize and celebrate the art and beauty of quilts, the creativity of their makers, and the continuing contributions of quilt making to history and culture.” Karey Bresenhan and Nancy Puentes, founded International Quilt Association with their mothers, are co-founders of this museum. I am so honored to have a quilt there! My piece features a three-dimensional butterfly soaring in a meadow. 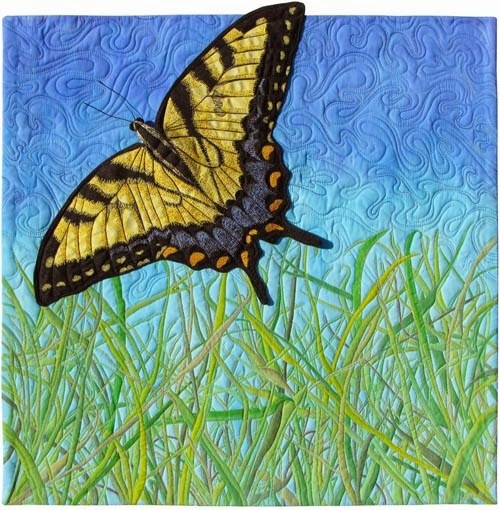 The butterfly is made of fabric and thread; the background was wholecloth painted. “Butterflies symbolize rebirth and metamorphosis. 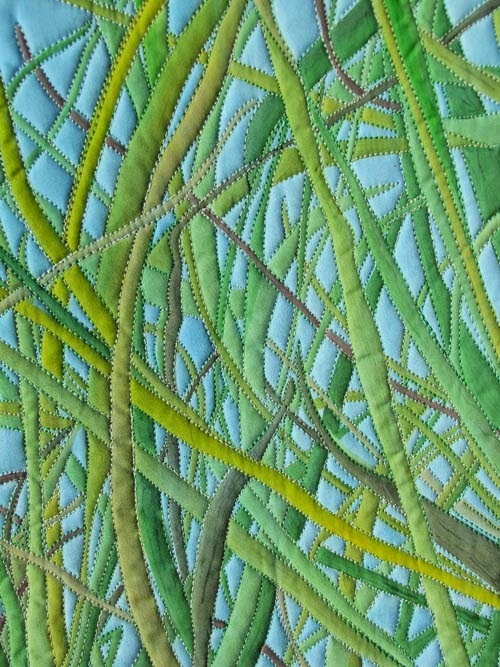 This exhibit shows how modern artists are reworking quiltmaking, contributing new techniques, processes, and concepts to the historical continuum of quilts,” says Sider.